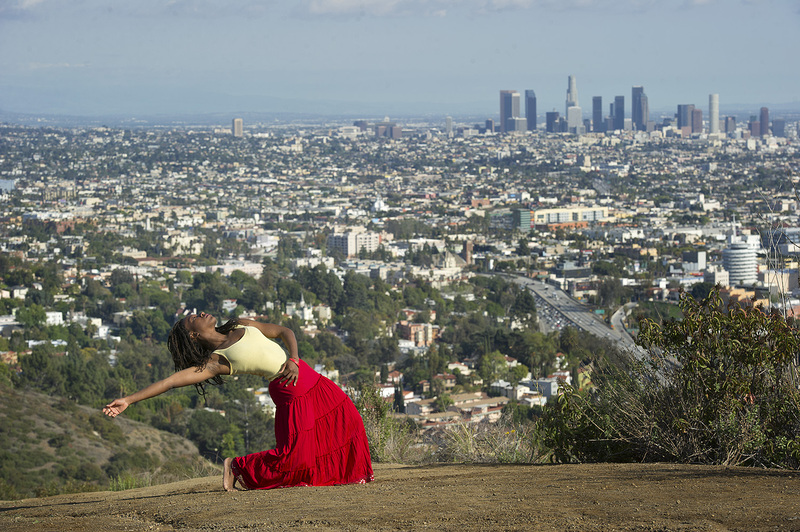 I was groggy when I met Jamila Glass from LA Contemporary Dance on my first morning in Los Angeles. I had been working into the wee hours with So You Think You Can Dance star Ricky Palomino (we shot a top secret photo at 3am in a downpour in the middle of Hollywood Boulevard). I was exhausted, but Jamila quickly woke me up with her infectious energy and enthusiasm. We headed for the Hollywood Hills, looking for the famous view of downtown LA. 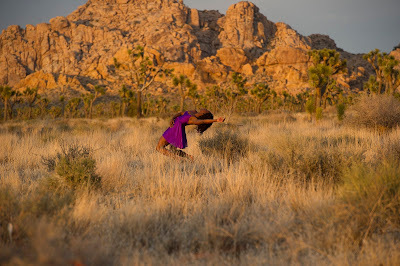 Jamila tried several poses before she struck this beautiful back bend. I was happy and headed off to other shoots. But as I lived with the image, I realized it could be much better. The contrast between her pose and the background was too stark- I wanted something softer. 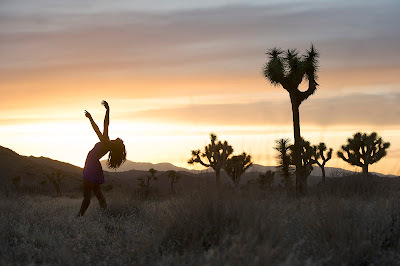 I invited Jamila to join me on a long road trip with several dancers to Joshua Tree National Park. Along for the ride was my friend, collaborator and long-time makeup artist, Ivy Vahanian. We took several beautiful shots that day, making for a thrilling trip. As the sun was setting, I raced to shoot one final image. I asked Jamila to repeat her pose, this time in a much softer environment. I thought it was stunning. Ivy didn't agree. Never one to hold back her opinion, she started screaming at me, desperately imploring me to see the shot from a different perspective. "Please, please, please, PLEASE shoot this as a silhouette. JUST LOOK AT IT ALREADY." To appease her so I could get back to my shot before the sun disappeared, I turned around and immediately understood her urgency. Now this photograph is one of my favorite images in my Dancers Among Us book. I should have learned long ago to listen when Ivy speaks.